I would like to respectfully address the ideas you posited in your article, many of which are indicative of the exact problems regarding discourse and speech here at Haverford. I feel this response is necessary because your views do represent a portion of the school that disagrees with me and I feel the best way to respond to such critique is through direct and open discourse. You offer the opinion that my historical comparisons are illegitimate because there is no correlation between these events and the current situation at Haverford. However, the presented counter-arguments reflect a failure to understand the basis for my comparison. I included these examples to reflect a similarity between the modus operandi of the Haverford Honor Code and the perpetrators of these genocides and their justifications for silencing the speech of and exterminating certain groups of people. If you wish for me to briefly enumerate upon each example specifically, I will address them in order of mention in my article. In Nazi Germany, the Jews were considered a security threat to the German nation. In Turkey, the Armenians were considered a security threat to the Turkish nation. In Rwanda, the Tutsi were considered a security threat to the Hutu interests in the Rwandan nation. In Iran, the Baha’i and the Kurds were considered a security threat to the Iranian nation. In Iraq, the Kurds were considered a security threat to the Iraqi nation. In every instance, these were subjective determinations by the majority of individuals in the nation and justified atrocious acts. As I explicitly clarified in my article, I am not comparing these genocides and atrocities to what is currently occurring at Haverford; however, I am making a comparison between our ideological justifications for denying speech and the ideological justifications given for these events. At Haverford College, many believe that certain ideologies and their associated groups are a security threat to the interests of minorities on campus and, therefore, they should be subject to institutional punishment due to the messages contained in their speech or expression. My argument, in accordance with the words of the Supreme Court in R.A.V. v. Supreme Court, is that these security interests are not legitimate justifications for viewpoint discrimination and the selective punishment associated with it. Addressing your point specifically about Rwanda and the United States’ decision concerning radio jamming and free speech—it is overtly evident that the United States should have intervened in this situation. The reasoning for this intervention, believe it or not, is enshrined in the Constitution and judicial precedent concerning free speech. Here in the United States, there are certain exceptions to free speech in extreme cases. One such exception is referred to as “fighting words,” which although they are more narrowly applicable than when the exception was first mentioned in the 1940s, still hold weight in considerations of what protected speech is. In this case, the Interahamwe militia’s message to “exterminate the cockroaches” would fall under “fighting words” because they advocated for violent action and an unreasonable threat to public peace. Thus, they would not be protected under the First Amendment. You have presumed that I agree with this decision because I am identifying a problem with free speech on Haverford’s campus. My committal to free speech and expression does not mean that I automatically espouse this mistake on the part of the State Department Legal Advisor’s Office. While I may not be a member of Honor Council, I maintain that I have this same ability to dissent to the current procedure of Honor Code to reach the values enshrined in the Honor Council. Additionally, the exact pledge I took, as stated in Section 3.07 of the Honor Code, is “I hereby accept the Haverford Honor Code, realizing that it is my duty to uphold the Honor Code and the concepts of personal and collective responsibility upon which it is based.” Contractually, I remain fully committed to the values expressed in this code and recognize my personal and collective responsibility as a member of this community; once again, this does not mean that I unquestioningly follow the Honor Code and its stipulations, rather, I may disagree, privately or publicly, with the lack of procedural methods regarding the Social Honor Code and the potential abuses they allow. Just as we agree to follow the dictates of laws in the United States, I agreed to follow the Honor Code, but never forfeited my right to question it. Therefore, implying that I must abide by the dictates of this community without question or appeal is entirely incorrect and a dangerous way of conceptualizing membership to the Haverford community. Finally, I would like to mention that, in the clause of the Honor Code I take issue with, it also mentions that “discrimination and harassment, including…political ideology” are in violation of the Honor Code. 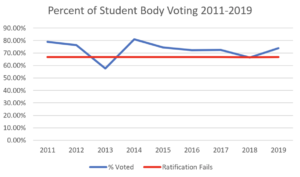 The fact is, the current lack of procedures regarding Social Honor Code violations allows for subjective determinations of offense and violation and, since Haverford is overwhelmingly of a particular political persuasion, this results de facto viewpoint discrimination based upon political ideology. Continuing to critique what I perceive as dangerous ideas, I would like to proceed now to a question you ask in your article: “Is a Moral Majority even a bad thing?” My answer to that, unequivocally, is “Yes.” Once again, this one of the ideas I attempted to approach in my original article by referencing historical atrocities and is central to the problem I take with Honor Code in its current form. As I mentioned explicitly in my last article, a moral majority, masquerading as a moral absolute and suppressing dissent, is, indeed, “a bad thing,” especially when there is a clear lack of protection for the opinions’ of ideological minorities on campus. For example, when the Reverend Martin Luther King Jr. mobilized individuals, spoke out, and fought for an end to the dehumanizing practice of segregation in the Jim Crow South, he faced an ideological majority comprised of people who viewed desegregation as a threat to their security. Last I checked, just because the majority of people agrees with a particular moral standard does not mean they possess the authoritative truth on what constitutes moral action. Although the moral majority in the Jim Crow South believed Dr. King’s approach, message, or both to be illegitimate, perceived him as a threat, and sought to erase his message, this does not mean that he was automatically morally wrong. Transitioning to my next point, I am not, as you claim, “co-opting a civil rights leader and quoting him grossly out of context.” Rather, there is legitimate reasoning behind including this quotation in my article. If you read Dr. King’s “Letter From Birmingham Jail,” you will encounter explicit denunciations of viewpoint discrimination. Specifically, in his discussion of just and unjust laws, Dr. King states that, “An unjust law is a code that a numerical or power majority group compels a minority group to obey but does not make binding on itself.” Currently, through the de facto institutionalization of viewpoint discrimination in our Social Honor Code, we face this exact situation. Though my argument concerns a different topic than Dr. King’s, I espouse this same fundamental belief concerning unjust laws and abide by it in my analysis on why I believe the Social Honor Code is illegitimate in its current form. In this portion, I will address your final two paragraphs and clarify important points to avoid the conflations made. First, this is not “fake moderacy;” this is an appeal to the Haverford community to reflect on how, due to viewpoint discrimination, our value of pluralism is endangered. Furthermore, I never stated or suggested that “cross burners are marginalized.” My point is that non-majoritarian opinions and ideologies on campus are unduly subject to institutional punishment, and therefore comparatively marginalized, due to the messages they contained, messages the First Amendment protects. Finally, you state that “moral majorities are not created equal[ly],” attempt to differentiate Haverford from the historical events mentioned, and imply that I am utilizing atrocities in a haphazard and illegitimate way. 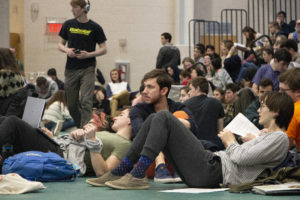 As I believe I have already clarified these issues in this article, I would like to overtly state my “incoherent point.” The sordid state of free speech at Haverford College demands reflection and action. By allowing for viewpoint discrimination in our institutional proceedings, we threaten unpopular voices and opinions into a stifling silence in the name of security interests and subjective moral standards. If we are to actualize our commitment to pluralism, this incongruence must not be allowed to persist. While our values are noble, the ways in which we are currently trying to realize them, are illegitimate because they discriminate against ideology. It is one thing to peacefully confront an individual over their beliefs or to communally express our dissatisfaction with an action, but another to institutionalize our subjective moral standards in the Honor Code. As members of an intentional community dedicated to confronting these social ills, I believe it is important to recognize that we share the same objective, just posit different methods by which to achieve these laudable goals. Although I believe in the legitimacy of these goals, I cannot in good conscience remain silent when the disallowance of free speech, as defined by the First Amendment and Supreme Court precedent, remains the procedure by which we seek to actualize our shared commitments. As members of a community that supposedly supports pluralistic ideals and peaceful discourse, I believe that the ideas in my article, while controversial, deserve to be and must be debated if we wish to protect and reaffirm our commitment to pluralism. I apologize if this article also fails to meet your expectations for me as a Haverford student and fellow community member, but I believe this issue is important enough for me to subject myself to such disapproval. I don’t think that you addressed one of the questions central to Kevin’s response. He said “The fact that he draws a comparison between the Supreme Court and Honor Council, as if they are somehow one and the same demonstrates his naivety and lack of understanding of the code.” The Honor Code is fundamentally different from the American Constitution. The Constitution has the First Amendment, endowing citizens with the right to speak freely. The First Amendment endows citizens with the right to speak freely. The Honor Code does not. The Constitution is a document that promulgates the set of principles and policies for the *public*. “Public” implies every person born within the jurisdiction of the US. Natural US citizens do not get the choice to become a citizen, they are born into citizenship. Anyone who is born in the US yet denied the rights of being a citizen, as was the case for black Americans under slavery and Jim Crow, violates the Fourteenth Amendment and commits a fundamental injustice. We collectively buy into the values put forth by the Constitution because it (theoretically) guarantees equality before the law regardless of creed, color, race, etc. Meanwhile, the Honor Code *is not* a public document. Haverford College is a private institution, free to establish policies that pertain exclusively to itself. In accordance with the Quaker values near and dear to the school’s founding, Haverford valued self determination, democracy, and respect, among others. Self determination means the student body, a self selected and voluntary group, gets to decide how this school runs itself. This means that if the student body does not believe that free speech as it is put forth and subsequently interpreted in the First Amendment, then Constitutional free speech is not a fundamental right of any member of the Haverford community. There is much to be said about the potential discomfort those with more conservative values may feel in such liberal community. Those who maintain fiscally and socially conservative opinions on subjects may feel implicitly compelled into silence due to the typically negative reaction it elicits. However, there is a stark difference between the expression of those opinions, and blackface. The former is merely an opinion, one in which everyone is entitled to. The latter is an intentional invocation of historically damaging stereotypes that disparage a specific demographic and contribute to that group’s systemic oppression throughout American history. It is an *act*. As a private institution, any adjudicatory body as appointed by the school is free to punish whomever it sees as worthy of punishment as long as their judgment comports with the Honor Code. And the Honor Code sees “acts of discrimination” as worthy of discipline. As far as I know (which is admittedly not that much), there has not been any proceedings about students expressing support for Donald Trump because, despite his discriminatory rhetoric and policies, those expressions are not discriminatory acts. You may want to argue that such a clause allowing for the punishment of students who contravene the social Honor Code are essentially censoring. Though we may disagree (, yours is an important issue which warrants a community discussion. You should feel entitled to speak your opinion on that matter and the Clerk is an appropriate venue to do so. However, steeping your argument is a conflation of Constitutional values and law with Haverford’s Honor Code undermines the core of your argument. I want to acknowledge the value in this conversation and suggest that the rapidly accumulating responses tell a less than gloomy story about the fate of free speech at Haverford. I do think it’s a good mark of our relationship with the Honor Code that, to my knowledge, Honor Council has not yet been invoked as a punitive measure to stifle arbitrary views in this case, nor do I think it would fill that role if asked. Even strong disagreement is not silencing, as has been shown again and again in this exchange. Silencing mechanisms do exist (and they do depend on broader power dynamics, in my view mostly those of historically self-sustaining systems of bigotry) but I would say this public forum is not one of them. Thankfully, our discussion hasn’t come to verbal or physical violence in personal terms, as upsetting as it can be for many people. Nor, I think, are these the tools of Honor Council: In the case of the Muppets, the result was more free speech and not less, with no restrictions on the research essays or letters to the community beyond their subject matter, and with no intent to evaluate them as a condition of restoration. A need was expressed by the community for more conversation. I’m just going to address bits and pieces of what you’ve said because I don’t know how coherent an entire argument of mine would be. But here goes. Firstly, I’ve read your article and your responses, and it seems you’ve repeated the idea that other’s “presented counter-arguments reflect a failure to understand the basis for [your] comparison.” I would argue that many of those that read and responded to your piece did in fact understand your argument, but did not agree with it. I feel like I have a grasp on your concept of the “similarity between the modus operandi of the Haverford Honor Code and the perpetrators of these genocides and their justifications for silencing the speech of and exterminating certain groups of people.” Yet I disagree with it fundamentally. You see, I believe that there are absolute truths in this world. For one, racism is bad. That’s not subjective. And to compare the Honor Code’s social contract, which attempts to uphold such absolute truths as justified, worthy, and important, to societal “truths” that caused genocide isn’t appropriate. This statement suggests that there are, in fact, “eternal”, absolute laws that should govern human society. Laws that “uplift human personality” are good, while laws that do otherwise are not. I think your free speech argument bases itself in the idea that all people are free to have their own opinions and have equal protection under the law given those opinions. I agree. Yet if one’s opinion, manifested in an outward form, degrades the human personality, why should that be exempt from punishment under King’s definitions of justice? Why should an institution, facing a case like The Muppets, not punish the attack on human personality and educate on the infraction. I don’t know how much sense I’ve made so far, but what I fundamentally disagree with is that the Honor Code’s “viewpoint discrimination” is comparable to discrimination associated with genocide. They don’t run on the same modus operandi in my book. Telling people they’re not allowed to degrade the human spirit with their actions is a manifestation of the “eternal law” King referenced (because it attempts to uplift human personality), and punishing people for such degradation is in line with the protection of the human spirit and just laws. It’s not viewpoint discrimination. Although this could have certainly been more eloquent, I hope my point comes through. I recognize it’s flaws, but I felt compelled to address at least something in what you wrote, because it just doesn’t seem right. Having said that, I think you bring up some important concerns that exist within this college. Thanks for reading, and please consider the importance of being able to punish action that degrades the humanity of those within the community. I’m not Canada, but if I may offer my own two cents regarding some of what you said, I would be interested to hear your response. I too believe there are absolute truths, both scientific and ethical in the world. Indeed, they’re the only truly meaningful truths (Indeed, I probably believe in very similar absolute truths to the ones you believe in). I also believe that we should enforce the conclusion reached by our conceptions of truth, as a necessary component of believing them to be true. I just don’t think that in any situation one can act against freedom of speech as a result of believing one’s truth absolute. This is because even though we can fully believe, with full certainty and fervor, in the correctness of our views, we need a truth-determining process in order to do so, and any such process requires freedom of speech. The only way I can be certain I am right is if I have a process by which I can distinguish truth from falsehood. It is this process which allows me to assign truth-values to claims. The ability to present any semantically valid claim to this process, I believe, is required if this process is to be effective. Thus, if I block freedom of speech because I am certain I am right that it is wrong to say such things, I must lose my ability to be certain, and my right to block the speech. Thus I must allow all speech, no matter how abhorrent. Now, there seem to be a few valid exceptions: Statements with no truth value may, possibly, be acted against (I have not reached a conclusion here, since there is no formal truth-value for things like flag-burning which nonetheless has value within a truth-machine), and statements which are provably false by a different truth-determining process where they can be advanced (claims which go against scientific consensus being presented as true, since I hold scientific fact to be a more fundamental truth-system than politics and lay discussion) are definitely actionable, and copyright/patents may be a necessary evil. Similarly statements like “let’s go kill gay people” or “Murder’s fun, you should try it!” seem like they should be banned, though it’s hard to prove why. Legally speaking, direct incitement to commit a crime covers the above, and it is hypothetically possible to suggest that statements directing actions rather than discussing the validity of actions (the difference between “Steve should be killed” and “let’s go kill Steve”) are at a higher “level” in the truth-production process, as they presuppose the validity of a set of truths, and thus can be interfered with under the model I have proposed. 2. Speak about your concerns at Plenary before ratification was opened? As for your qualm about the social code being subjective – yes, it is. So is the academic code. If you want to create “a freedom of speech committee” the avenue to go through is plenary. Also I’m really unclear on what you mean by “pluralism”. I fully intend bring this issue to the community during the next Plenary. 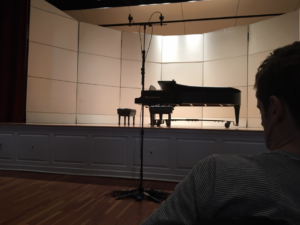 This semester, I decided that, through various articles, I would rather focus my efforts on discourse and discussion to ensure that the problems I am identifying have had sufficient time to percolate to allow for individuals in the community to formulate opinions for and against such a resolution. This would allow for a stronger and more comprehensive debate amongst community members, engendering a better amendment. I agree with you that portions of the Academic Code are also too subjective and allow for abuses. The main reason I have not taken issue with this yet is because I felt it would be best to deal with each topic individually to allocate as much attention as I could to each issue rather attempting a weaker simultaneous point about the Academic Code. Assuredly, I will not limit my critique of the Code to just the social sphere. If I wish to facilitate this change, I am well aware that it will be through Plenary, which is why I attempting discourse first so that we can begin the process of hashing out ideas now. Thank you for your comment and I look forward to Plenary next semester! Hey I just wanted to ask you a question on your stance. I’m sorry if I’m misinterpreting your argument somewhat (you used some pretty grandiose vocabulary, which all scholars do, but probably aided to the many misinterpretations of your main points) but I’m really curious to understand your position and opinions. It seems as though you share the idea that the Honor Code should more-so simulate the constitution, at least in the case of the first amendment. I want to understand more as to why you take this stance. The entire purpose of the Social aspect of the Honor Code is to build a unique and inclusive community in which the “community’s social relationships are [also] based on mutual trust, concern and respect” and for that reason only. As the first line of the code mentions, Haverford strives to create “environment in which members of a diverse community can live together, interact, and learn from one another in ways that protect both personal freedom and community standards.” For that reason and that reason only, the Honor Code asks that we be mindful of our word choice and actions as it has been shown, using many examples in history, to be a medium of harmful interactions, which would go against the entire purpose of the Honor Code. With that in mind, I see a strong argument to limiting the social abilities of students somewhat, for the sake of a peaceful and inclusive learning environment. 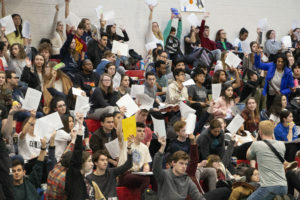 The federal government does not necessarily agree with that stance as strongly as Haverford does, as the first amendment in the Constitution does not necessarily try to create an environment in which discriminatory language is frowned upon. Although it inadvertently limits some arguments, for which they may or may not be prejudice/discriminatory/whatever word you want to use, it is for the benefit of the Haverford community. You seem to value having free speech, whether or not it may aid to create a stifling atmosphere. I do genuinely believe that many students of Haverford attend this campus because of the Honor Code, in particular, how its emphasis of creating the best possible community for a diverse crowd will possibly dictate the way we interact on campus. This is why we have things like safe spaces. This is why we have things like trigger warnings. Allowing complete free speech would dismantle that concept, and would possibly put some individuals in a place where they do not feel comfortable. The Honor Code itself says it aims to “protect both personal freedom and community standards,” and in practicality, it seems to be almost an oxymoron to be able to give everyone the ability to say whatever they want and to be able to live up to the community standards that Haverford wants, so I see where your argument comes from. There is some gray area as to what the ideal blend of both would be; however, I do share the idea that most Haverfordians probably do, which is that respect and love in the student body is #1, and it should be a moral obligation for every student to cultivate that ideology, as that is the main goal of the Honor Code that everyone has signed to attend this school. I must apologize if this is in any way muddled, as I am quite tired. I am sorry for not responding last night as I had initially promised and I hope that my answer may clarify my argument and responds adequately to the concerns you expressed in your comment. I agree with you whole-heartedly that the intentions behind our Honor Code are noble in seeking to create an environment free of detrimental societal ills and that respect and understanding should be foremost in our communal considerations. As you have astutely noted, the balance between our obligations to the community and the preservation of individual rights is often a contentious and tenuous one. Furthermore, I acknowledge completely that the purpose of the Social Honor Code is to “build a unique and inclusive community in which ‘the community’s social relationships are [also] based on mutual trust, concern, and respect.” However, the question I continuously arrive to in this consideration is: are we actualizing these objectives in the most conducive manner for all members of our community? I currently believe we are not and that is because I disagree with the methodology with which the Honor Code currently seeks to realize these goals. As stated in my original article, my complaint with the current state of Section 3.04 is the lack of procedures that accompany it, allowing for the subjectivity of the Honor Council to determine guilt and levy punishments upon alleged violators of the Code. While we have certainly outlined certain standards in our Code, we have failed to establish what exactly these standards entail. Under such a system, determinations of guilt rely entirely upon the subjectivity of members of Honor Council who, even with good intentions, may unfairly discriminate against individuals who do not share their moral precepts or those shared by most the community. As articulated in the unanimous decision in R.A.V. v. St. Paul, viewpoint discrimination is the de jure or de facto treatment of speech or action differently due to the message it contains. Regardless of the message, whether it is “I don’t want transgender people in gendered bathrooms”, “affirmative action gives spots to less deserving members of society”, “transgender individuals should be allowed to use their preferred bathrooms”, or “affirmative action is necessary to balance social inequity,” this ruling posits that all viewpoints deserve the right to be heard without facing institutional consequences. However, on our campus, how would these opinions fare? Certainly, the first two views would elicit significant ire from certain groups on campus and many, considering the messages threats to their ability to function equally within this community, may view these statements as violations of the Honor Code. This is a valid response and an argument certainly can be made. I believe I can also say with surety that the latter two views would receive general commendation and approval, even if some on this campus find such views discomforting or supporting discriminatory practices. Let’s also assume that these individuals also find these statements injurious to their security here at Haverford. Would we consider these latter views violations of the Honor Code? Almost definitely not. The only differences between these examples in speech is that the former two would considered offensive or inappropriate by most of the community here at Haverford and the latter two would not be. My article is concerned with how we treat these former views in comparison with the latter. Under the current Social Honor Code, these former viewpoints are subject to institutional punishment by Honor Council. The threat of this institutional punishment only further contributes to the stifling of certain viewpoints within our community. Now we may ask ourselves: Why is this a problem, aren’t we just protecting the security of groups who find this offensive? My answer affirmative, however, I pose a question in return: Are we upholding the values of the Honor Code in doing so? My claim is that we are not. Currently, our approach to conveying this sense of security infringes upon the equality we claim to give ideological minorities. In the same way we must acknowledge that uncurbed speech would create a “stifling atmosphere,” we must acknowledge that viewpoint discrimination also creates a stifling atmosphere, at least for those who disagree with the majority’s beliefs. In your defense of the current measures, you mention that Haverford protects the ability of individuals to “learn from one another in ways that protect both personal freedom and community.” Disregarding our individual beliefs on the proper balance of personal freedom and communal obligation for a moment, I would like to speak on the educational benefit of First Amendment rights. Removing institutional punishment and creating procedures would eliminate institutional viewpoint discrimination and therefore would allow more conservative members of our community to participate in discourse more freely and fully without fears of potential prosecution by Honor Council. This is important to our education. Even if we may find ourselves repulsed by certain viewpoints, it is important that we learn how to articulate and argue against them thoroughly. If individuals never come forward to speak their mind about various topics confronting our society, how can we ever engage with them for purposes of personal learning? I will not assume all of us will remain in the United States after attending Haverford, but, as the school’s demographic statistics suggest, most of us will. We will live in a nation where these ideas are not suppressed in the same way they currently are here at Haverford. Is it not in our best interests, as students and individuals of varying backgrounds, to have experience articulating and engaging in discourse to affect as much change as we possibly can? These are some of the reasons why, in this particular instance, I believe we should look to Supreme Court precedent to guide the establishment of procedures against viewpoint discrimination. In establishing such procedures, it is important to note that First Amendment rights do not equal unbridled speech and expression. Through various cases, the Court has restricted speech on various grounds. For example, SCOTUS declared that speech is not protected if it lacks “serious literary, artistic, political, or scientific value” in the 1973 case Miller v. California. In my response to Sergio’s comment a few days ago, I enumerated further on other First Amendment, such as “fighting words” and restrictions on types of expression. The goal of a Free Speech Committee would be to study and integrate such universalized protections and restrictions into our Social Honor Code to better balance individual rights and communal obligation. This would not mean removing the current clause, but, rather, adding a set of procedures to it to protect the rights of individuals against the subjective determinations of a moral majority. If we wish to be a respectful and caring community, we must always question ourselves and the repercussions of our actions. Just as I would ask people to exercise judgement before speaking or acting, especially when the feelings of others are involved, I would ask us to consider a way to achieve the goals we are striving for without institutionalizing viewpoint discrimination and stifling important discussions on campus. Essentially, while respect and love are certainly important, the ways in which we achieve them are equally imperative. This is not an easy dilemma and, as you said, there are grey areas involved, but I believe that if we make a conscious effort to work on this issue as a community, we can devise a better system than what currently exists.